A student of the Kwara State University, Malete, Ilorin, Dorcas Olanrewaju, who was kidnapped by suspected ritual killers on Thursday, has been freed. She said on Friday that out of 13 of them in the kidnappers’ den, six were killed. The Director, University Relations, KWASU, Dr. Isiaka Aliagan, confirmed that Olanrewaju was a student at the institution. 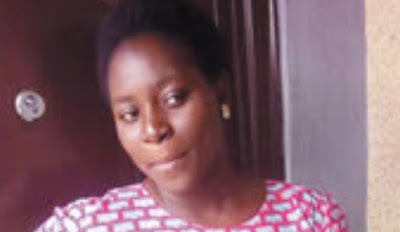 Olanrewaju was released at Omu-Aran by her captors on Friday 24-hours after she was kidnapped on her way to the campus. The year two Mass Communication student said she left her residence outside the campus and boarded one of the campus shuttles. According to her, she had an examination to take on campus but while on the way, she noticed that she was driven to an unknown destination. Sensing that she was in danger, she quickly sent a text message to one of her friends to inform her that she had been abducted by some unidentified persons suspected to be ritual killers. She said, “While I was in the vehicle, a female passenger complained of cold, so the windows were closed. I lost consciousness thereafter. I later found myself among some people in a bush at night. “We were about 13 in the bush but the kidnappers later took six victims away. We realised they had killed them when the kidnappers put seven of us in the vehicle again and the rest were nowhere to be found. The Kwara State Police Public Relations Officer, Mr. Ajayi Okasanmi, said the command had commenced an investigation into the abduction. He said that the police were on the trail of the perpetrators, adding that the report had been circulated to police formations within and outside the state to ensure the arrest of the perpetrators. Aliaga said that preliminary information available to the institution indicated that the student left the venue of the ongoing examination to her off-campus hostel to pick her course registration form, after which she went missing. He said KWASU management would always ensure the safety and security of its students staying in both campus and off-campus hostels. Aliaga explained that all commercial transport operators were duly registered with the university to ensure proper monitoring of their activities. At the moment, the identity of the vehicle involved in the kidnap incident and its driver are not yet known. But Aliaga assured that the security agencies would track the perpetrators down. He said,“Following the incident, security has been beefed up around Malete and the campus. Armed police patrol has been deployed on the route and regular check of vehicles has intensified since yesterday.